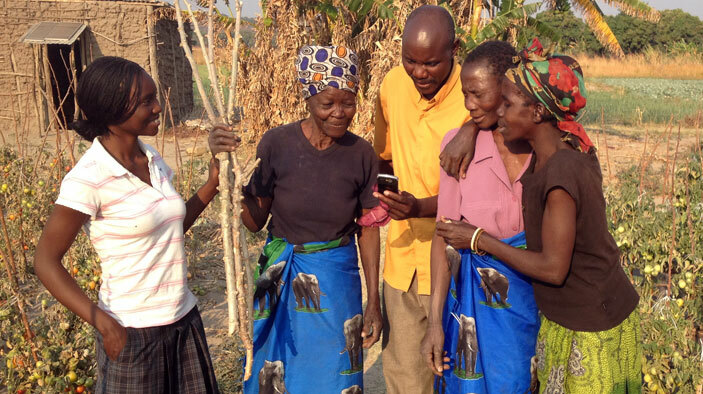 If the project moves forward after the assessment, Zambia will be one of the first countries to launch a large-scale mobile platform for communicating market and climate information. This collaborative national platform would integrate information from multiple government agencies and agricultural support organizations, improving the ability of Zambian farmers to mitigate and recover from the negative effects of climate change that are making drought and floods more common. In addition to DAI’s work, the program includes projects that support climate resilience through private sector investment, microfinance, and weather index-based insurance for farmers. Review global best practices and platforms for mobile information dissemination. Work closely with mobile phone platform providers and mobile network operators to understand technical considerations and ensure needed information is captured. Engage local information and communication technology experts to gain insight into the use of communication technologies in Zambia. Ensure framework is created to capture information that is universally relevant but also relevant to the unique environment in Zambia. Identify lines of inquiry that will guide the information gathering and analysis: network coverage; availability of usable content; information formats and standards; language; literacy; mobile phone access; access to electricity; ability to understand information; demand for market and climate information, revenue models, and cost sensitivity; technical capacity of both end-users and platform implementers; and infrastructural and technical requirements.